A Blaydon team won the Shotley Sixes Competition yesterday (Sun 15th April 2018). 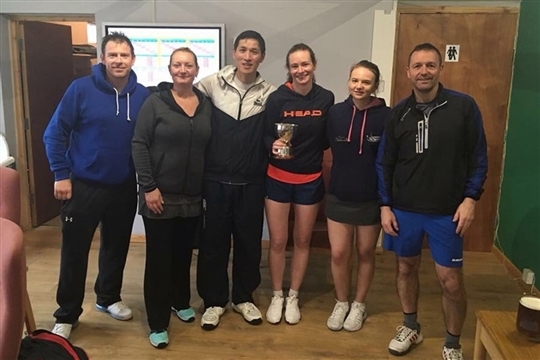 The annual competition hosts teams from around the region and involves teams fielding a men's doubles (Michael Farrey and Will Ip), ladies' doubles (Liz Howe and Liv Clark) and mixed doubles pairings (Rachel Cooper and Sam Grant). Blaydon topped the league table (winning the men's and mixed groups) and were winning the final comfortably when the play was interupted by rain. Congratulations to all involved.